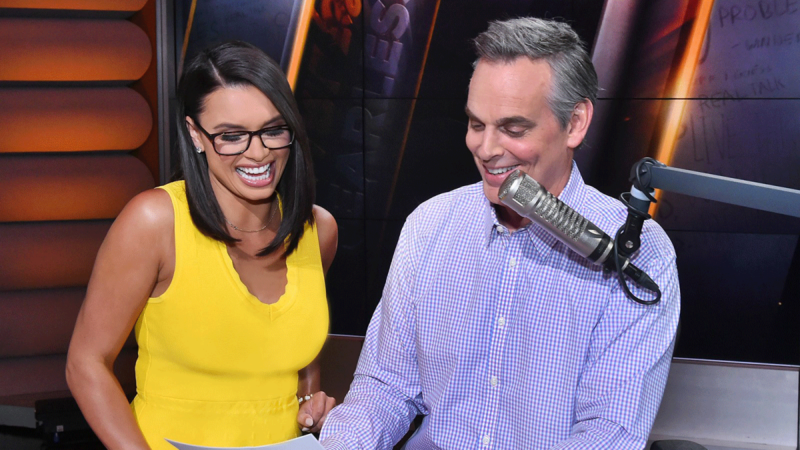 FOX Sports has announced changes to its FS1 studio show casts as Joy Taylor will leave SKIP AND SHANNON: UNDISPUTED to be the news anchor for THE HERD WITH COLIN COWHERD and Jenny Taft will begin a new role as moderator for UNDISPUTED. The announcement was made by Whit Albohm, Vice President, Studio Production / Executive Producer, FS1. Taylor, who moderated for UNDISPUTED since its debut in 2016 will begin with THE HERD, simulcast on FS1 and the FOX Sports Radio Network, on Monday, June 18. She joined FOX after spending the previous five years in Miami at AM 790 The Ticket and hosting the top-rated radio morning-drive program “Zaslow and Joy Show” after beginning there as executive producer. The Pittsburgh native currently hosts her own podcast “Maybe I’m Crazy with Joy Taylor,” and also has hosted “Thursday Night Live” and “Fantasy Football Today” for CBSSports.com. She is the younger sister of NFL Hall of Famer and former Miami Dolphins star Jason Taylor. Taft, a member of FOX Sports’ lead college football broadcast team, will add to her network duties Monday, July 23 while continuing to serve as a reporter on Saturdays during the Fall. She began her career at FOX Sports in 2011 when she accepted a position with the Twin Cities-based regional network FOX Sports North. There she appeared in on-air promos, in-game segments and produced digital content. After auditioning for a new role in 2013 with FS1, she then expanded her duties for the network having worked on the NFL, college football, Supercross, MLB, World Cup soccer and the Westminster Kennel Club Dog Show to name a few.